The two men in custody are both Spaniards, and were picked up in the early hours of Tuesday, near the scene of the crime, EFE reports. A friend who saw what happened told the news agency that the motive was some sort of personal disagreement, and that the two accused, armed with a shotgun, had turned up at the same square on Saturday night but left when they were unable to find the person they were looking for. 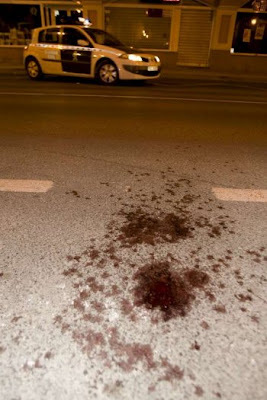 Two men, both aged 21, have been arrested for a shooting in Rincón de la Victoria on Monday night where the victims, a man and a woman, were shot at as they were sitting in a square near the Casa de Cultura in La Cala del Moral. The weapon used is reported to be a shotgun.19 year old S.N.R. was injured in the abdomen and one of her arms, while her friend, 21 year old A.N.R., received injuries to his hands. Both are in the Carlos Haya Hospital in Málaga.